Alcatel SA earlier the French company, one of the leaders of the world market of telecommunication equipment. The headquarters was in Paris. It was founded in 1898 in Alsace by the French engineer Pierre Azaria as Compagnie Générale d'Electricité (CGE). In April 2006 Alcatel announced the forthcoming merger with its major competitor, the American company Lucent Technologies. The merger took place on December 1, 2006, the merged company was named Alcatel-Lucent. Chairman of the Board of Directors and Chief Executive Officer before the merger - Serge Churuk. Alcatel has worked in more than 130 countries around the world, providing a range of services in terms of the supply of equipment and software products for telecommunications. The company's activities were carried out in three main segments through three business groups: Fixed Communications Group (fixed communication systems), Mobile Communication Group (mobile communication systems) and Private Communication Group (corporate communication systems). 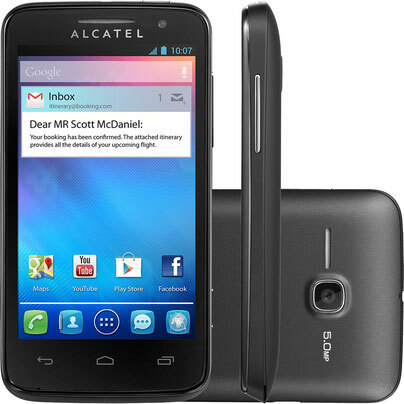 From the consumer's point of view, Alcatel is most widely known for its cellular communication devices, which have become widely used all over the world. In addition, the company included a division engaged in the development and production of signaling and traffic management systems for railways. Alcatel Space, which is engaged in the development and production of geostationary and low-orbit artificial Earth satellites, was another significant subdivision of Alcatel. In 2004, Alcatel's mobile phone division and similar division of the Chinese company TCL established a joint venture between TCL & Alcatel Mobile Phones Limited (TAMP). 55% of shares in this enterprise had TCL, 45% - Alcatel. All the factories for the production of Alcatel phones were moved to China. 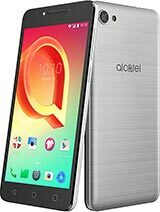 In 2005, TCL purchased from Alcatel the remaining shares of the joint venture and entered into a licensing agreement for a period of 10 years. TAMP was renamed to TCT Mobile Limited. Nokia announced the acquisition of Alcatel-Lucent. Earlier in the rumors it was reported that the goal of negotiations between the managers of the two companies is the acquisition of only a wireless business based in Paris Alcatel-Lucent. The website of the Finnish manufacturer indicates the amount of the transaction - 15.6 billion euros. The deal has already been approved by the boards of directors of the two companies. Its completion should be expected in the first half of 2016 after approval by the Nokia shareholders meeting and approval by regulatory bodies. The merged company will be named Nokia Corporation, headquartered in Finland and a significant presence in France. Risto Siilasmaa will be appointed Chairman of the Board of Directors, Rajeev Suri, General Director.